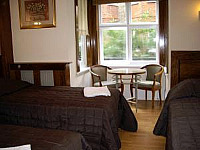 Overlooking a quiet garden square, Garden View Hotel provides several services in a prime location. With Earls Court Tube Station just a few minutes walk away, you’ll be able to travel around the capital and further afield quickly and cheaply. If you want to take a taxi then the multi-lingual staff at Garden View Hotel will be happy to arrange this for you, and they can book guided tours for you too. They can even arrange a laundry and dry cleaning service, and there are fax facilities as well. 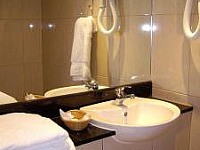 Two star Garden View Hotel has a 24 hour reception so there is always someone available should you need any assistance. 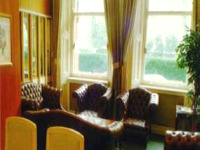 As well as a lift/elevator there’s a breakfast room where the basic continental breakfast is served each morning. You can enjoy a cup of tea or coffee in your small, centrally heated guestroom thanks to the hospitality tray, and there’s also a telephone, TV, radio/alarm and compact bathroom. The 61 guestrooms at family friendly Garden View Hotel can accommodate 1-5 guests. You can get to Garden View Hotel from Heathrow Airport easily thanks to the direct link via the Piccadilly Line (in just a 40 minute journey). Head in the other direction on the Piccadilly Line and you’ll reach the West End in just a short journey, which is full of shops, restaurants, bars, theatres and clubs. The local area is also home to entertainment venues, with Earls Court and Olympia Exhibition Centre just a short stroll away. 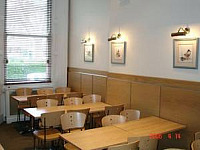 You will also find lots of cafes, restaurants and bars nearby. 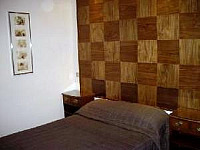 Some of the guestrooms at Garden View Hotel overlook Nevern Square. Travel on the Piccadilly Line or District Line and alight at Earls Court Underground Station, which is just a short walk from Garden View Hotel. Take the Warwick Road exit from Earls Court Underground Station. Turn right and then take the second road on your right. 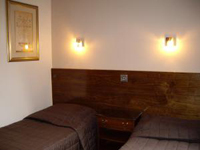 You will arrive at Nevern Square, where Garden View Hotel is situated at numbers 29-31. Find the same room for less and we will refund you the difference! 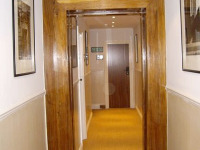 LondonNet Hotels: Hundreds of London hotels, London B&Bs, London apartments and London hostels at special offer prices. Book now!